Nashville heavy hitter Paul Worley was so impressed by Lady Antebellum that he gave up his high‑profile job at Warner Bros to produce them. With Clarke Schleicher at the desk, the gamble paid off in style. 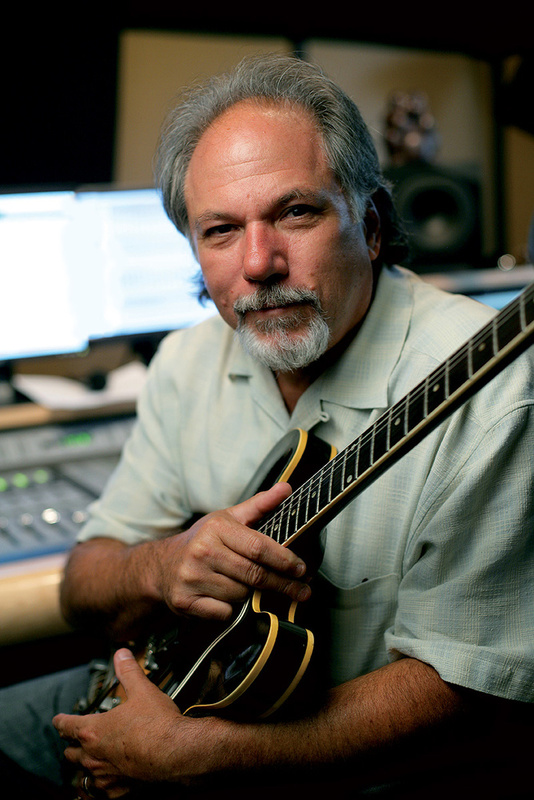 Paul Worley is one of Nashville's most high‑profile musicians and producers, having worked with the likes of the Nitty Gritty Dirt Band, Neil Diamond, Willie Nelson, the Dixie Chicks, and many, many others. He has also been Executive VP at Sony Nashville and then Head of A&R at Warners Nashville, and his latest success has come as producer of another Nashville band, Lady Antebellum, one of country music's brightest new groups. 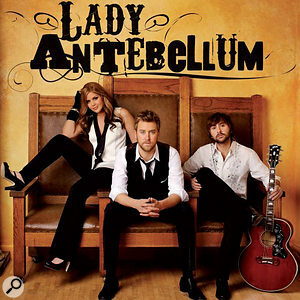 Their eponymously titled debut album (2008) was a great success in the US, while the follow‑up, Need You Now (2010), not only topped the country charts in the USA but also the main Billboard hit parade and the charts in Canada, New Zealand and Australia. 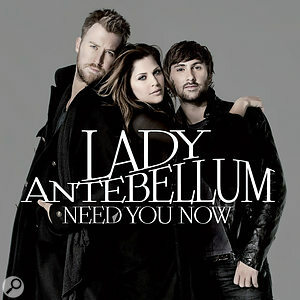 In addition, Need You Now reached number eight in the UK chart, and was a major success in many other countries. Shut up and listen is more or less exactly not what EMI International did with Need You Now, as the British wing of the company decided to have half of the songs on the album remixed by the eminent David Bascombe, his brief being to "lose” or "dial back” country elements such as steel guitar, mandolin, and fiddle for the international release. "Welcome to my world,” quips Worley, with a weary sigh. 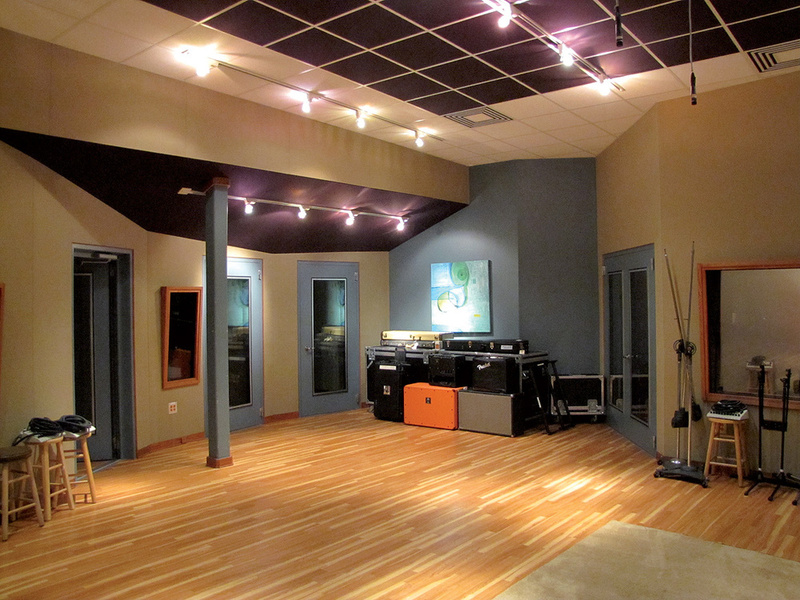 Worley is talking on the phone from Warner Music Studios in Nashville, which is home away from home for him. 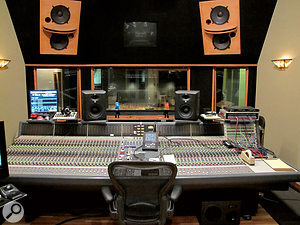 He regularly works there with his collaborator of 25 years, engineer and mixer Clarke Schleicher who is, as Studio Services Director, in charge of the studio. Worley was born in Nashville in 1950, and graduated in philosophy at Vanderbilt University. From a young age, his real passion was playing the guitar. He started his professional music career in the '70s as a session guitarist, primarily in the house band at Audio Media Studios in Nashville, where he was spotted by well‑known producer Jim Ed Norman, who subsequently put him on the path towards producing. 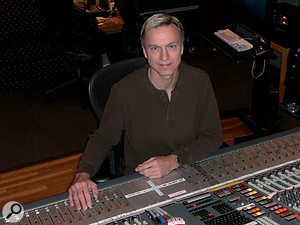 As Worley's credits and reputation grew, he built a studio called The Money Pit, which is where he first met Schleicher, who became assistant engineer there. Worley joined Sony Music in 1989, and later moved to Warners, before reverting to an independent role in 2006. He stresses, however, that the guitar is still at the heart of everything he does. 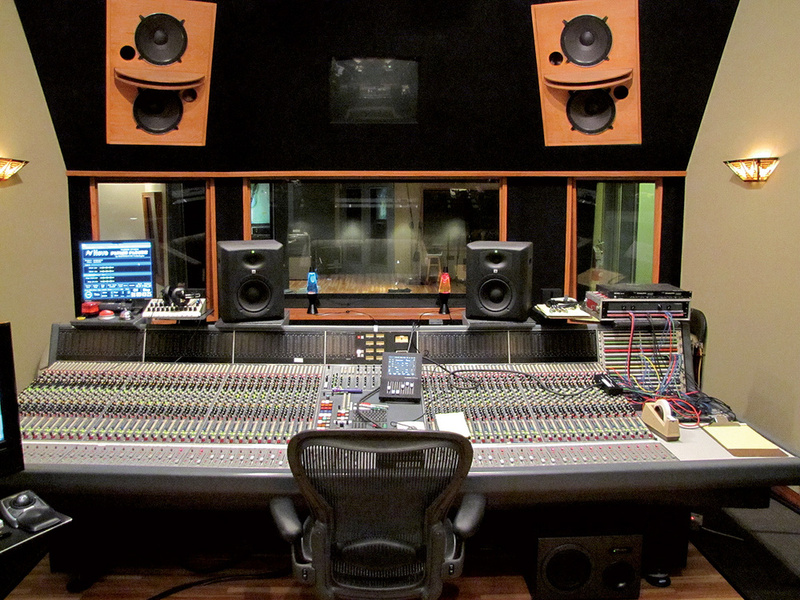 The main control room at Warner Bros' Nashville studio is based around a Neve VR60 console. As a producer, Paul Worley looks through his guitar "lens” at the next two essential ingredients in his Nashville sonic kitchen: the song and the artist. Starting with the song aspect, Worley calls himself "not a songwriter but a song user”, and adds, "Writing a great song, and especially a great lyric, is a total mystery to me. I don't understand how it happens. The melody is like the wrapping on the package, it is what attracts you and when you open that melody up, inside you discover a great lyric. That is what makes the world go round for me. In the tradition of music, lyrics have perhaps been more important in country than in other music genres. On the other hand, all great pop and rock songs I can think of also have great lyrics too, so again, there's this blurring of all the lines. Worley adds that he loves "connecting great songs with great singers”, and has a reputation as a great discoverer and developer of new talent. He discovered the Dixie Chicks, then co‑produced their first two albums with Blake Chancey and brought them to international success. At Warners, he was the first record company representative to go all out to sign Lady Antebellum. When that didn't work out, he left the company to produce the band, and again, international success was the result. "Lady A did a showcase in Nashville and two of my scouts told me I had to go and see them,” recalls Worley. "I didn't like the name, but went and the room was packed with A&R people: RCA, Universal, Disney. The band got up and just knocked me out: the songs, the personalities, the vocals, it was all there. After they were finished I ran straight up to the stage and said: 'Guys, I'm in. I'd like to sign you and be involved in your career.' At that time I was head of A&R and didn't assume I would produce them, but when asked during meetings who they wanted as a producer, they looked down the table at me. I was very grateful, because I was creatively unhappy at Warners. When Warners didn't sign them, and instead they signed with Capitol, I resigned and then literally walked across the street to make the record with them. That was four years ago, and it was a very scary, strange time. One notable feature of the live area at Warner Bros Nashville is the large number of isolation booths, allowing large live bands to be tracked with good separation between instruments. 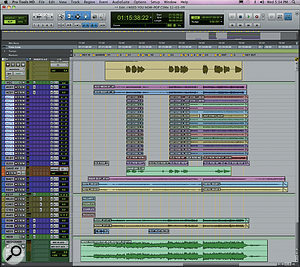 This composite screen shot shows the Pro Tools Session for Need You Now's title track. 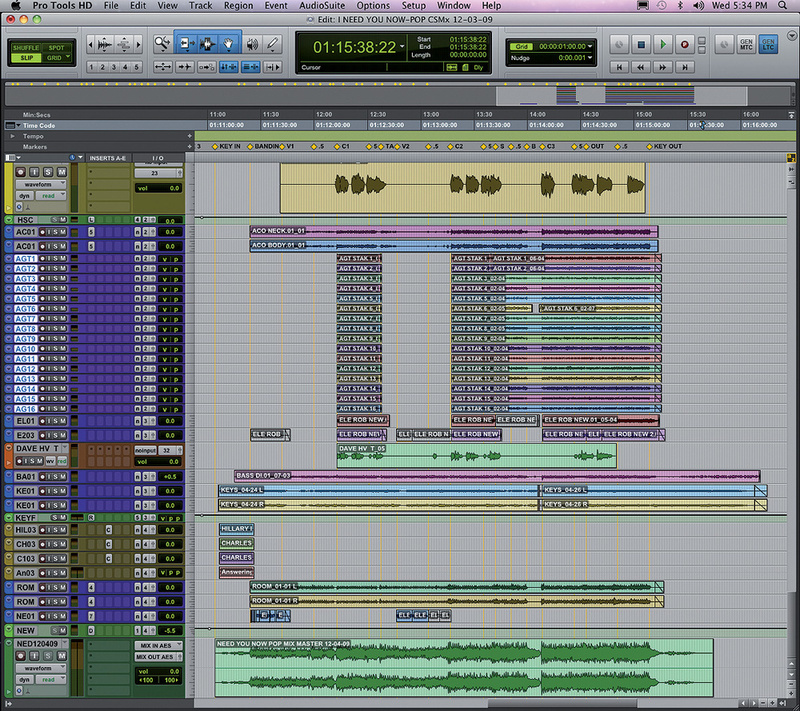 Note the 'herd' of stacked acoustic guitar tracks in the middle. Much of the responsibility for realising Worley's "sound design” rests in Schleicher's hands. The 51‑year old engineer and mixer originally hails from Louisville, Kentucky and moved to Tennessee to follow a course in audio engineering at Middle Tennessee State University. He went on to learn many of his skills from studio legends Gene Eichelberger (JJ Cale, Lyle Lovett, Neil Young) and Ed Seay (Emmylou Harris, Dolly Parton, Willie Nelson). In step with Worley's desire to find the right sound design for each artist he works with, Schleicher tries out different mics and signal chains for each recording session, meaning that much of the gear used in recording the two Lady A albums was markedly different. Schleicher mixes almost all the material he records for Worley, on his Neve VR60. His enthusiasm for digital audio clearly does not extend to mixing 'in the box'. "I lay things out on the Neve, because I hate mixing in the box. The biggest issue with digital is that in summing to stereo, music loses width and depth. So I try to do as little submixing as I can in Pro Tools. The convenience of recording and mixing in the computer has created a new kind of engineer, who has become this kind of computer‑mad scientist. But with that people have lost the knowledge of how to use compressors and other gear. Many younger engineers today are totally focused on the in‑the‑box aspect and use only plug‑ins. Plug‑ins are better than they have ever been, and for instance the Waves Mercury bundle with Jack Joseph Puig's plug‑ins sounds really good. But are Jack's Fairchilds as good as the real thing? Probably not, even though a lot of the vintage gear is old and crappy, and finding a good Fairchild or LA2A is difficult. For acoustic guitars, Schleicher used a Neumann/Gefell M582 close to the 12th fret, pointing downwards, and a Neumann U67 placed towards the body of the guitar, pointing upwards. "Both mics are at a 45-degree angles. The 582 is brighter and the 67 a bit warmer. I record them to separate tracks and blend them according to what's needed. I sent the mics through these really amazing Gordon mic pres, and then through a Manley Vari‑mu, with some subtle compression, to add some air at the top. I also used a GML EQ. "With regards to vocals, for Hillary [Scott: vocals] I used a 67, going into a GML pre, a Tube‑Tech compressor, and a GMP EQ. Charles [Kelley: vocals] was recorded with a Korby 251 and the same signal path as Hillary. To be honest, I was never happy with Charles' signal path, and recently during a live thing for AOL he sang through a [Neumann] U87 and an LA2A, and he liked the way he could sing against the latter. So I'm now using that on him. It gives a warmer tone and helps with Charles' enormous dynamic range. For Dave's [Haywood: vocals, guitar, piano, mandolin] vocal I use a customised 87 with a tube in it, which we call a hotrod, run through a GMP pre and EQ, and then again the Tube‑Tech compressor.